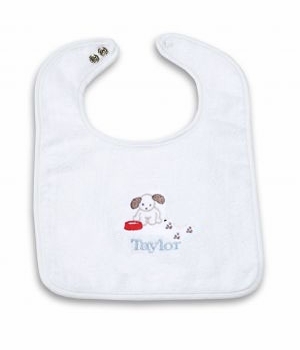 A new baby boy can never have enough bibs. 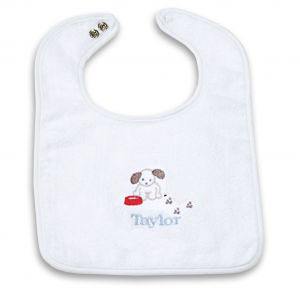 This terry bib is custom made just for him. 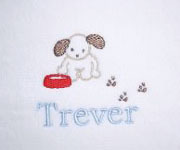 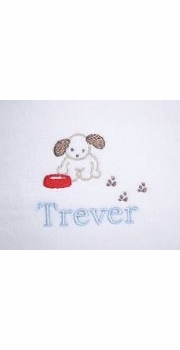 Made from absorbent terrycloth with an adjustable snap closure and embroidered with adorable puppy and the baby's name.